Ideal for use with high tension strapping. 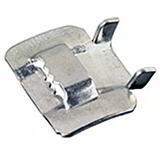 When you need strong, secure and reliable packaging that will be safe in all conditions, choose stainless steel banding and Stainless Steel Buckles from Davpack for extra peace of mind. Easy and quick to use with our Stainless Steel Band Tensioning Tool, both products are fully corrosion resistant and are therefore the ideal choice if you need to store your product outside for any length of time. 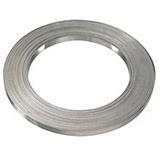 Both are available in 12mm and 19mm width and all Stainless Steel Strapping products are immediately available for same day despatch from stock.